Lone Star National Bank began operations in 1983 in Pharr, Texas. Over the last two decades, Lone Star National Bank has grown and opened banking centers across the Valley. Today, the bank has 33 locations across South Texas. Its headquarter is in McAllen, Texas. US Federal Reserve Banks use routing numbers to process wire transfers and other automated wire transfers. Lone Star National Bank account holders can receive domestic wire transfers after providing Lone Star National Bank routing number. Lone Star National Bank Routing Number is 114911687. Lone Star National Bank account holders can easily find the bank’s routing number on the bottom left part of the check. 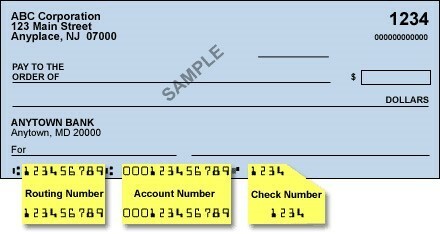 The following sample check image highlights where to find the routing number on the bottom of your check. Lone Star National Bank allows its account holders to receive and send both domestic and international wire transfers. You can make a wire transfer using your Lone Star National Bank account by visiting your local branch. Wire transfers attract at a processing fee. For international wire transfers into your Lone Star National Bank account, you must provide the sending international financial institution with Lone Star National Bank’s Swift Code. Because Lone Star National Bank is not a member of the swift code network that allows international wire transfers to be directly deposited in the customer accounts, the sending international financial institution needs a correspondent bank in the US where it will wire the funds to before the funds are transferred to Lone Star National Bank using domestic wire transfer details. International and Domestic Wire Transfers at Lone Star National Bank attract different fees depending on whether the transfers are incoming or outgoing. For more details on the fees, please visit the bank or call customer care at 956-984-2440 during normal business hours.